Most people do not really understand the scope of benefits artificial intelligence has to offer. In fact, most people remember fantasy movies where they saw flying cars and robotic maids that will cook your dinner and do the washing for you. If this were reality, we would already have a robot at home that would help your children with their homework and expedite your projects at work. However, this is fantasy…not reality. Try to think about the last time you’ve browsed your Netflix account for movie suggestions or asked Siri to order food for you. And what if we told that you have already interacted with artificial intelligence without even realizing it. In fact, the AI is designed in the way that you cannot really feel like a computer has taken control of the situation. The AI is a broad science field which shows how a computer can learn to think like a human being having the possibility to analyze data and come up with potential solutions. In fact, you do not have to be surprised at the idea of AI is not as modern as you may think. The term “artificial intelligence” was first invented in 1956 by John McCarthy, a Dartmouth professor who assembled computer scientists and mathematicians to prove if machines could develop human intelligence. But that was almost 60 years ago, and everything has changed a lot during this period of time. We can see the use of AI in our everyday routine if, for instance, we own a self-driving car or use an instant machine translation. And if you ever used the app Uber than try to think about how do they know the waiting time, the exact price of your ride, the traffic overload, etc.? That is something we owe to machines. In fact, the AI is being used in a lot of projects and researches. Therefore we are in the process of introducing AI into the health care system and by doing this way to improve outcomes of value-based care and benefit the patients. What is value-based care and which are the purposes of the system? Let’s make it clear what exactly means value-based care in the healthcare AI system. This approach is based on the quality of the provided health care services and the patient health outcomes, therefore, is focused on the patients and their well being during and after the treatments. The value-based care stays focused on the process of treatment and recovery of patients with chronic diseases or conditions like diabetes, cancer, etc., making them both quicker and cheaper since the patient visits fewer doctors than expected. This way the healthcare IT challenges the opportunity to prevent the chronic diseases and fatal outcomes while working with the new value-based care system. The approach is team-oriented hereby the patient’s data will be shared amidst the providers who deal with the same patient. They can make the treatment develop efficiently, and all sides taking part in the case would be rewarded. Well, now we must assume the truth, the transition from the current healthcare system to the value-based care will not happen overnight. First of all, the providers are worried about the certain amount of factors that could fail with the new health care service delivery. 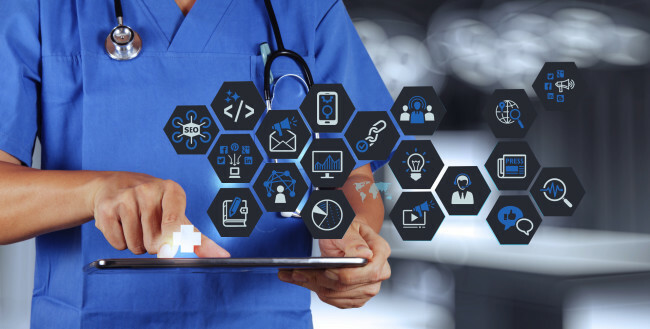 Unfortunately, many of the hospitals and health care centers cannot deal with the huge amount of patients tied to them, analyze all the data and provide services they never used to deliver to new patients and keep delivering healthcare service to their current clients. There is also a possibility that the primary care physicians will acquire responsibility for health care services provided by specialists in order to treat such serious diseases as cancer. What is more, the specialists in the hospitals will be assigned responsibility for unrelated health problems which patient can experience in the future. The system could also fail to distinguish differences between the patient’s needs and symptoms, and this way hospital and healthcare center professionals could also be mislabeled as “inefficient” as they could be assigned to treat patients with acute illnesses or cancer. And what is then the connection of the AI with the value-based care here? The logic is quite simple. We will explore the pros of the integration of AI into the healthcare system and provide you with the answers. How will the introduction of AI improve the efficiency of value-based care? The AI seems like the crucial point for the World Medical Innovation Forum in Boston as regards to the reduction of costs of the delivering of health care services and not without a bunch of reasons. AI has the potential of turning the healthcare system into a simple and effective tool without spending a lot of money on both sides. The process of patients treatment will consume less time as the information would be analyzed quickly and effectively. The patient’s data will be processed a lot faster, and the provider will have the possibility to determine any disease in the early .stage. The AI will have control over the patient’s data and the chance to detect a serious illness before the patient even feels any symptoms which will drastically reduce the providers work on curing the patients with acute diseases and focus on the prevention of the next development of the illness. Value-based care system aims to unite healthcare providers that they will have the possibility to share patients data amidst them and if it is necessary, to search for the right treatment and cure together. The transition to the value-based care and the introduction of AI into the healthcare system may seem like miles away yet specialists assume this is something we cannot skip. The approach has shown it can improve the quality of the delivery of healthcare a lot as well as help people to lead a healthier lifestyle. About the Author: Carol James is a writer and senior editor at writing service, so you can find help with an essay on EssayLab. She has MA degree in social sciences and writes articles, reviews on the different actual subjects including business, healthcare, technology, education, etc. So, if you have any questions regarding the writing, feel free to ask her.